Our moduating round dampers are a control damper assembly designed to solve over-heating and over-cooling problems. 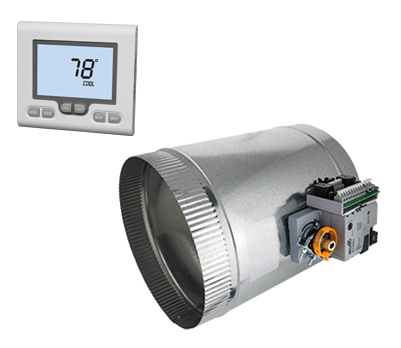 It can be used to control a single room, or by using multiple dampers to zone multiple rooms. It is available as two-position or modulating and with a damper or diffuser. The Z-2000-T thermostat must be ordered separately.